Property 1: Dog-friendly beach suite w/ shared hot tubs, kitchenette, patio space, and more! Property 4: "RIPTIDES"~Stylish Studio Located in a Central Location Near All the Action! 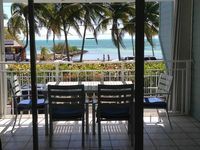 Property 5: Bright condo w/ homey feel, entertainment & private parking - beach nearby! Hidden Beach Unit 2 The best place to stay. Property 11: Hidden Beach Unit 2 The best place to stay. Property 12: Elegant condo w/ entertainment & private parking - great central location! "IN GOOD SPIRITS"~Waterfront Condo w/Wrap-Around Balcony & Community Pool! Property 18: "IN GOOD SPIRITS"~Waterfront Condo w/Wrap-Around Balcony & Community Pool! Secluded Casa - Spacious Apartment, Overlooks Pool & Garden. Property 23: Secluded Casa - Spacious Apartment, Overlooks Pool & Garden. 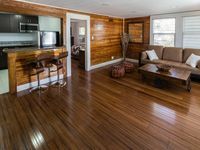 Cozy ground-floor suite in historic home w/ shared pool - close to boardwalk! Property 28: Cozy ground-floor suite in historic home w/ shared pool - close to boardwalk! Seaside escape with shared pool, hot tub, tennis courts, and more! Property 34: Seaside escape with shared pool, hot tub, tennis courts, and more! "ATLANTIC BREEZE" ~ 2B/2BA Tropical Retreat w/ Pool, Fitness Area & Beach! Property 35: "ATLANTIC BREEZE" ~ 2B/2BA Tropical Retreat w/ Pool, Fitness Area & Beach! Studio suite w/ shared hot tubs, patio, kitchenette - steps from beach. Dogs OK! Property 42: Studio suite w/ shared hot tubs, patio, kitchenette - steps from beach. Dogs OK! Luxurious Historic House With Pool in Old Town INTRODUCTORY RATES! Property 50: Luxurious Historic House With Pool in Old Town INTRODUCTORY RATES! One of the best VRBOs we have stayed at. Spotlessly clean, fully appointed kitchen and unparalleled view! We&rsquo;ll be back!